Diabetes is a chronic condition characterized by high levels of blood glucose (sugar) because the body is unable to use insulin or produce insulin properly. A metabolism disorder is a condition where the body is not able to properly use nutrients from food. 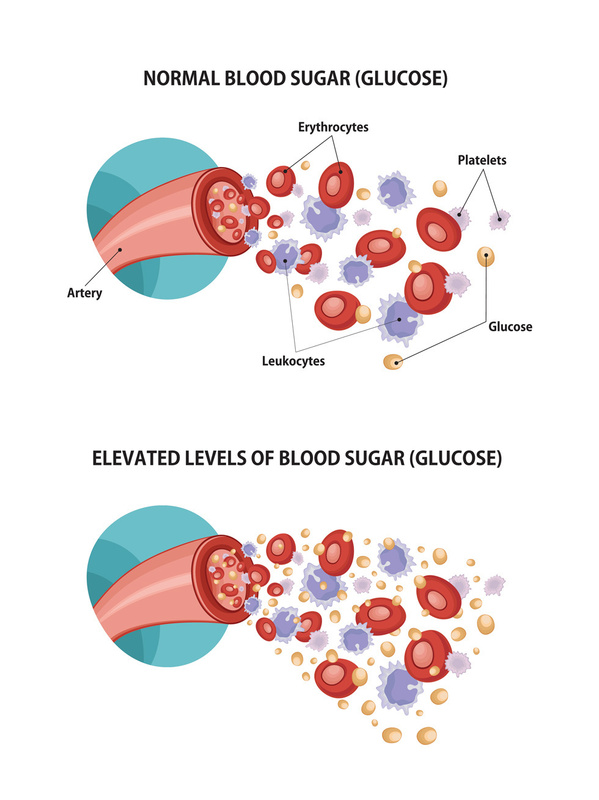 In order to understand how this disorder occurs and how to manage your blood sugar, it is important to understand what happens to food as you eat. When you eat, the body begins the digestion process, which is the body’s way of breaking down food (carbohydrate, protein, and fat sources) into nutrients that can be used by the cells. Carbohydrates found in all foods that contain starch (ex. 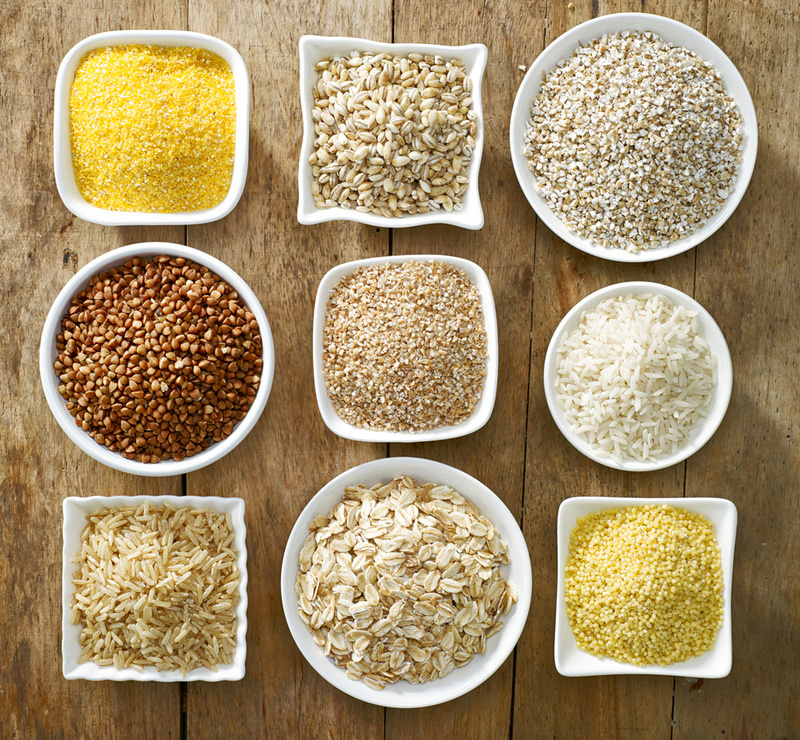 grains, pasta, rice, dried beans) or sugar (ex. milk, fruit, sweets, table sugar) are broken down into a simple, fast absorbing form of sugar called glucose. Glucose is fuel to your body; it gives the body energy. Diabetes is a chronic condition characterized by high levels of blood glucose (sugar) because the body is unable to use insulin or produce insulin properly. Insulin is a hormone produced by the pancreas, an elongated gland located behind the stomach. Insulin regulates the way the body uses carbohydrates for energy. Your body requires insulin to move glucose in the bloodstream into the cells to use for fuel. Think of insulin like a “key” used to unlock cells in the body so glucose can enter and provide energy. There are several types of diabetes but the two most common types are Type 1 and Type 2 diabetes. Approximately 29 million Americans, or eight percent of the population, have diabetes, and worldwide it afflicts more than 380 million people. One-fourth of these cases are undiagnosed. It is estimated that 25 percent of people 65 or older have diabetes mellitus. Today, diabetes takes more lives than AIDS and breast cancer combined -- claiming the life of 1 American every 3 minutes. It is a leading cause of blindness, kidney failure, amputations, heart failure and stroke. Diabetes during pregnancy, called Gestational Diabetes, or delivering a baby over 9 lbs. 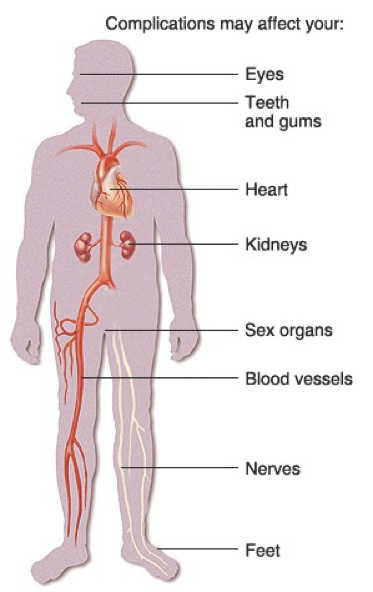 People with diabetes are two to four times more likely to suffer from heart attack or stroke. Diabetes is also a leading cause of blindness, end-stage kidney disease requiring dialysis, and lower limb amputations.